A couple killed a boy and hid his body in their attic, a court has heard. 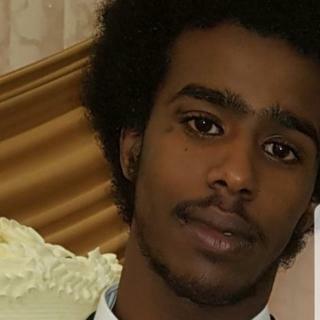 Abdi Ali, 17, was found dead inside the north London home of Stacy Docherty and Gary Hopkins - who deny murder - in August last year. He had been missing since 31 December. His body was "infested with insects" after being kept in the attic for eight months, the Old Bailey heard. The murder weapons, a claw hammer and a knife, were found near his body, the trial was told. Ms Docherty and Mr Hopkins are jointly charged with murder, perverting the course of justice and preventing the lawful burial of a dead body. Ms Docherty has denied all the charges while Mr Hopkins has denied murder but admits the two other charges. Opening the case, Gareth Patterson QC told the Old Bailey that Mr Ali's body "began to decompose through the spring and summer", adding that when it was finally discovered inside the property in Enfield, the remains had "suffered serious decomposition". Mr Ali's body had been wrapped in a duvet cover and had plastic bags placed over his head, the court heard. The 5ft 2in teenager had been hit over the head with a hammer at least three times and stabbed repeatedly in a "savage attack", jurors heard. Afterwards, the defendants fled London for Leominster in Herefordshire where they "lay low" for a few days, the court was told. In his police interview, Mr Hopkins blamed others for Mr Ali's death, saying he had agreed to let the boy he knew as Skeng deal drugs from his flat, the court heard. Ms Docherty initially told police she was unaware of the body in the attic but later said Mr Hopkins had killed Mr Ali for drugs, the jury was told. Mr Patterson said: "The prosecution case is that nobody else had anything to do with the murder of Abdi Ali other than these defendants." He also said Ms Docherty "revealed that the motive had been financial, stating that she had wanted to give her children a good Christmas".